In recent years Paradise Seeds has invested in the research and development of new varieties that have medical cannabis qualities and Durga Mata ll CBD, which has been developed with the CBD crew, is one of these strains. It was decided to use Durga Mata because it is one of the feminized strains that already has a reputation for producing big resinous buds that throw a thick fluffy blanket of indica relaxation around those that smoke it. The original Durga Mata was already a top choice for medical users, so Paradise Seeds’ team decided to enhance its medicinal powers. The Durga Mata ll CBD retains all the characteristics of the original. Paradise Seeds appreciate that many medical patients are new to growing their own medicine and for this reason they chose to develop a strain that is solid and dependable, straight forward to grow and very forgiving for the novice grower. The big difference between the original and the medical variety, is in the Cannabidiol (CBD) content. As medical users are aware, CBD does not have the psychoactive qualities of THC and actually moderates the effects of this compound. DM-ll-CBD delivers a CBD content of 8.5% (THC is 7%) and is therefore better suited for medicinal use. Durga Mata II CBD is a reliable plant to grow and, just like the original, performs well in indoor grow operations and particularly in a SOG set up (Sea Of Green). It develops a sturdy, flower clustered, main stem that oozes with resin by the end of the flowering period. The rock hard buds have a complex odour, perfume sweet, bringing to mind the exotic scent of Turkish delight. 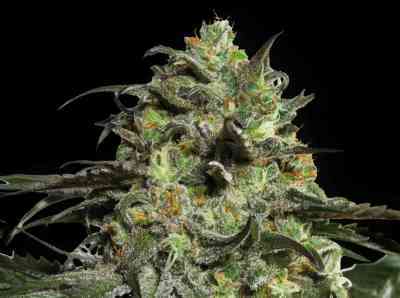 Plants are ripe within 56 to 58 days and give an impressive yield. 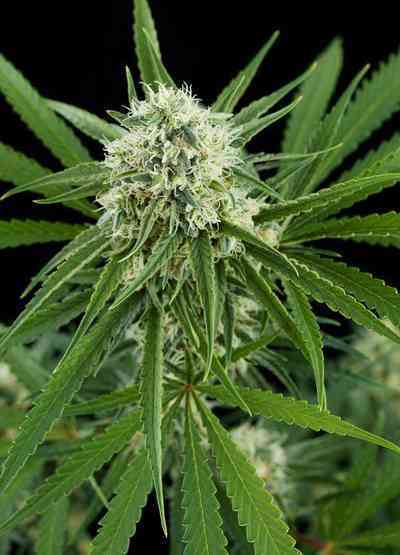 For the outside grower, this variety will perform very well too. It comes with pest resistance in its genes and will grow well in moderate climates and less sunnier regions of the world (such as northern Europe and Canada), as well as thriving in southern regions. Durga Mata II delivers an end result that brings relaxation and calm to the body when smoked or vaporized, without the heady high or ‘stoned’ feeling. Research has shown medical cannabis to have anticonvulsant, anti-inflammatory, anti–nausea and anxiety reducing effects. DM-ll-CBD has many healing properties and brings effective natural pain relief to many medical cannabis patients.